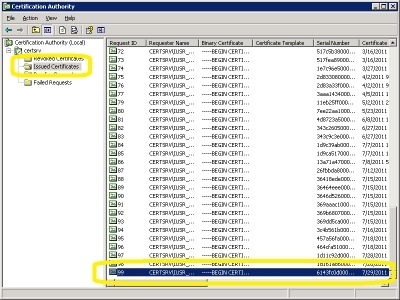 In this last appendix for my blog series about using SSL with IIS 6, I'll discuss processing a certificate request by using Windows 2003 Certificate Services. 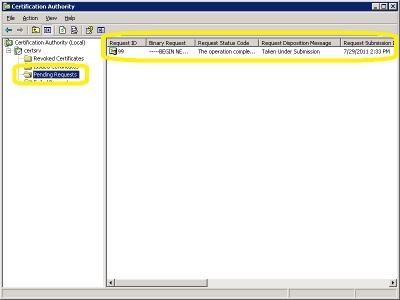 When you are running a certificate server for your network environment, you will need to physically issue the certificates that clients will request from your certificate server. 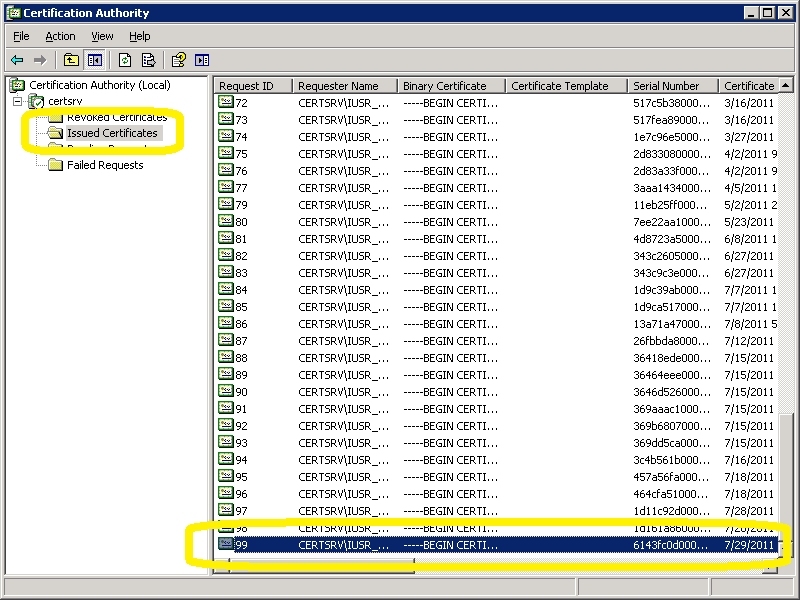 There is a way that you can configure certificate services to automatically issue certificates, but I'd advise against that, unless you are only issuing certificates for testing purposes. 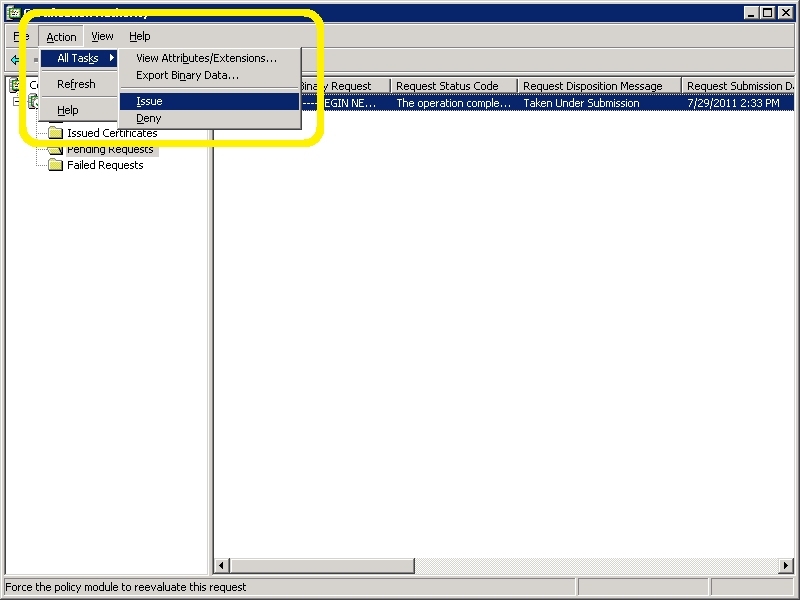 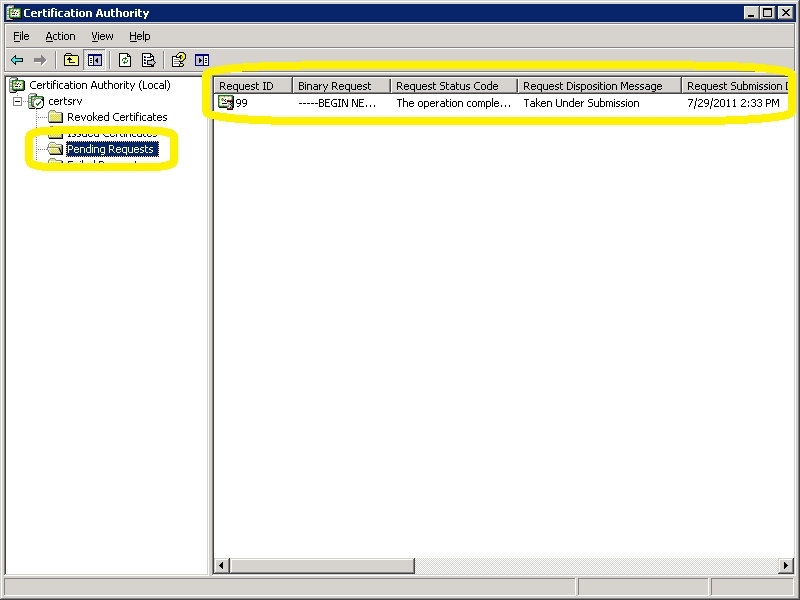 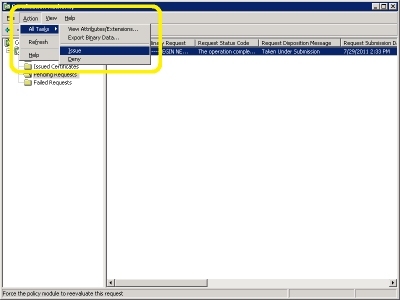 If so, then you should read the Set the default action upon receipt of a certificate request topic on Microsoft's TechNet website.